Create your own natural perfume where all materials are derived from plants, or in a few cases from animals, for example beeswax, ambergris and civet. 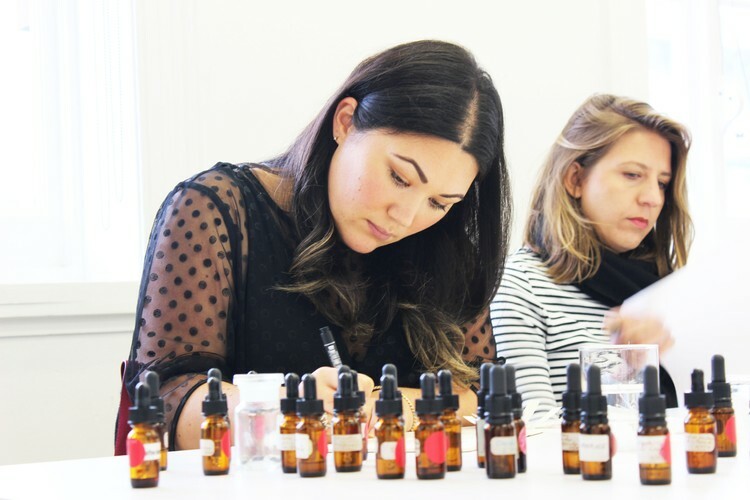 In this hands-on workshop you will experience up to 50 different aromatics and learn some techniques to evaluate them. You will develop a basic understanding of base, middle and top notes, and the building blocks of perfume composition. Learn about the history of perfume, including the advent of synthetics in the 20th century and the recent renaissance of Natural Perfumery. Explore blending different accords and come away with your unique natural perfume. Class 10 max. Materials included.